MADURAI. 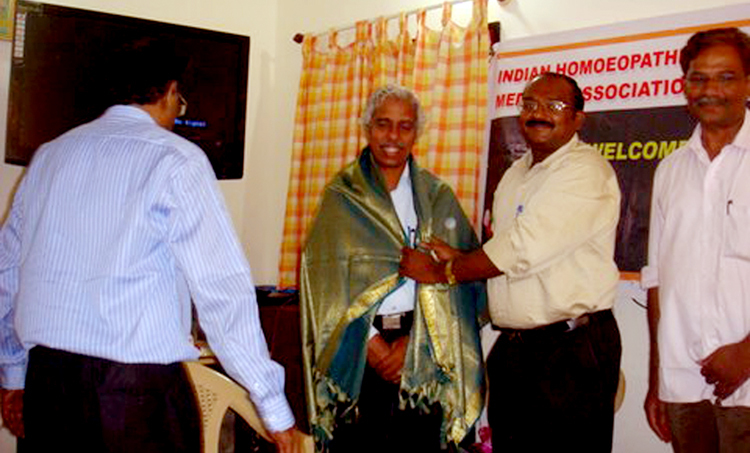 OCT.10: Indian Homoeopathic Medical Association inaugurated the Madurai and Virudhunagar Chapters. The National Secretary Dr.Ajith Kumar inaugurated the chapters and the National Secretary, Dr.M.Ravindran presided over the function. Dr.Subramanium, Dr.Kumaresean, Dr.Semparuthi also participated in this occasion. Dr.Sudhakar was elected as Madurai chapter president and Dr.Senbaga Ganesh Babu declared as virudhunagar chapter secretary.